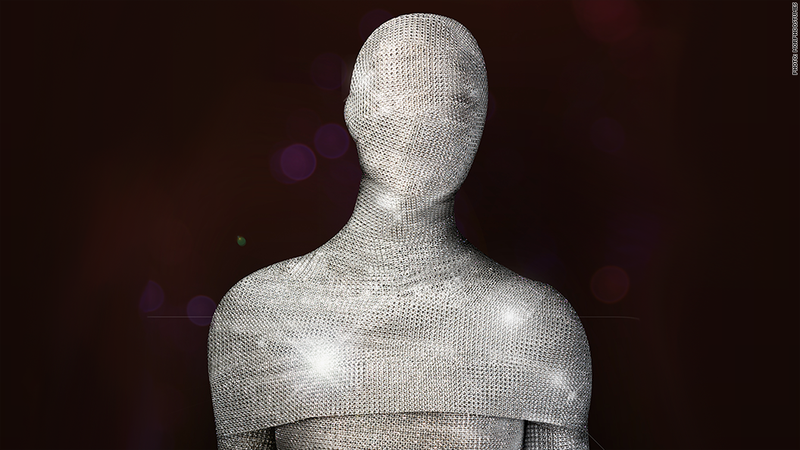 The Million Dollar Morphsuit is encrusted head to toe with 70,000 diamonds. While the costume is currently locked away in a vault in London, it can be purchased by anyone willing to shell out £1 million ($1.6 million). 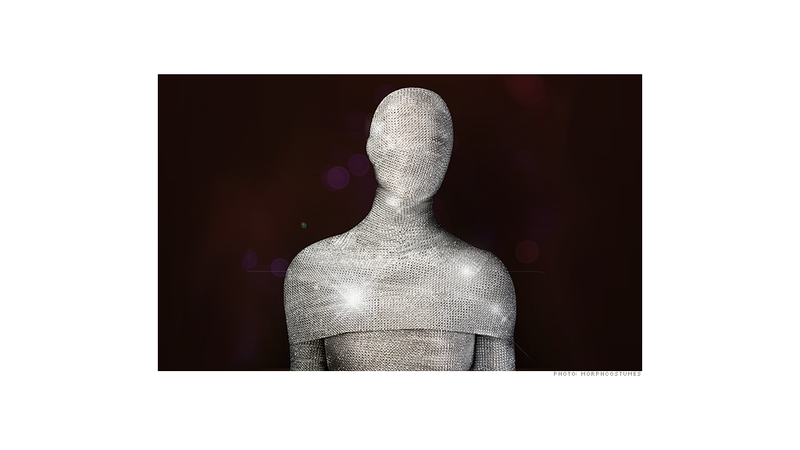 The price tag might be scary, but the costume is pretty glamorous. The company used its signature "morphsuit" as the base -- a skin-tight spandex suit that covers the entire body, including the head -- and bedazzled the silver suit in diamonds of various carats. The costume is "a bit heavy" and can be hard to see out of given all the bling, said Gregor Lawson, co-founder of MorphCostumes. "It's probably not the most comfortable of our offerings, but if you roll the head part down, you can still be covered 90% in diamonds." For those not willing to shell out six figures on a costume, the company has other options in its high-end "WTF" line. Overkill, The Giant Zombie-Killing Robot costume promises to turn the wearer into "a living legend" and sells for $25,000. The robot-looking costume has laser effects, legs with stilts, a one-piece torso with LED lighting, controllable finger sheaths and a giant headpiece. It's also equipped with a fan. 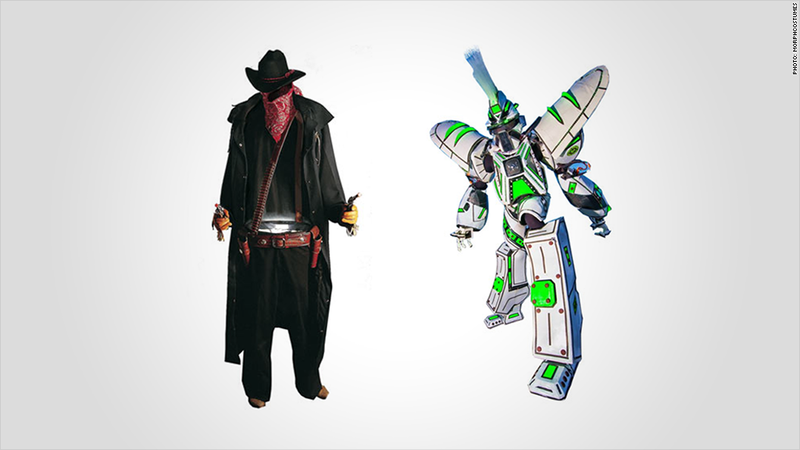 The custom-fit Invisible Cowboy Premium Costume costs $2,500 and has a head that can move in all directions. While these costumes take Halloween spending to the next level, Americans will be celebrating the holiday in record numbers this year. The National Retail Federation reported more than two-thirds of Americans will buy a costume and spend a total of $2.8 billion on their outfits this year. Of course, MorphCostumes has more affordable options. The company has more than 300 costumes with an average price of $30-$45. Lawson said the typical customer is generally male, between 16-24 years old and loves the anonymity that a morphsuit can offer. "It's like having X-ray vision, you can see out, but they can't see in. They are completely encased and people say, 'oh my god that's the coolest thing I've seen.'"